Pulwama terror attack: 44 CRPF jawans were killed while 15 sustained severe injuries in IED blast targeting their bus on Srinagar-Jammu national highway. Security agencies said the IED blast was followed by gunshots at the CRPF convoy when it was passing through Goripra part of Awantipora. Following the incident, Home Minister Rajnath Singh is scheduled to visit Jammu and Kashmir tomorrow. The government of India has also condemned the Pulwama terrorist attack. The Indian government said that the heinous act was perpetrated by Jaish-e-Mohammed, a Pakistan-based and supported terrorist organisation proscribed by the UN and other countries. 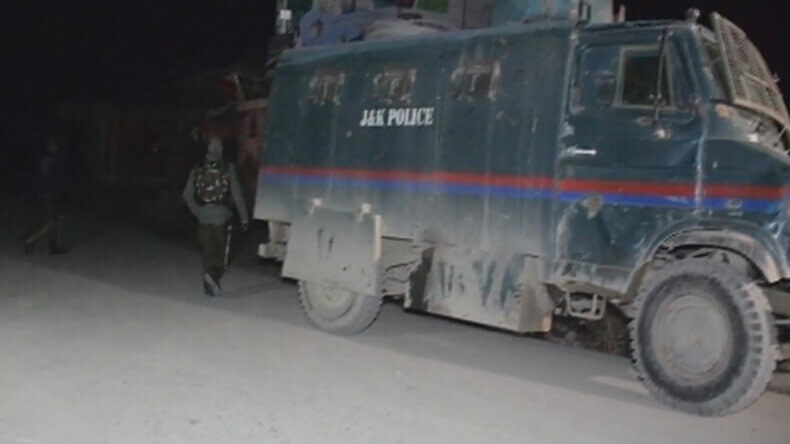 Pulwama terror attack: At least 44 jawans of the Central Reserve Police Force (CRPF) were killed in an explosion in Awantipora, Pulwama on Thursday. Reports said 15 of the injured 44 jawans were critical. The blast, said to be an improvised explosive device, blew up a CRPF bus carrying its personnel on the Srinagar-Jammu national highway. Security agencies said the IED blast was followed by gunshots at the CRPF convoy when it was passing through Goripra part of Awantipora. Pakistan terror outfit Jaish-e-Mohammad has claimed responsibility for the attack and called it a suicide bomber. Officials said the attack on Thursday, which was less than 20 km from Srinagar, is the first big strike this calendar year and the biggest on security forces after the attack in Uri in September 2016. Zulfiqar Hassan, IG CRPF (Operations), said that the Jammu and Kashmir Police has taken up the investigation. The injured have been shifted to hospital adding post-blast analysis being done at the spot. Reports claimed that the suicide bomber’s car was laden with 350 kg of explosives that rammed the CRPF convoy in Awantipora. Reports quoting the CRPF said 2,574 CRPF personnel were travelling in a 78 vehicle convoy when a vehicle parked on the road exploded as the convoy went by. Security experts have said the use of a vehicle laden with explosives in a suicide attack is the first ever in the state. One of the vehicles had suffered the maximum damage. Following the terror attack, a high alert has been declared in Awantipora and rest of the Valley. Union Minister of State for Defence Subhash Bhamre said that those behind the attack would not be spared and the authorities would make every possible effort to avenge the life of jawans. Government of India has also condemned the Pulwama terrorist attack. The Indian government said that the heinous act was perpetrated by Jaish-e-Mohammed, a Pakistan-based and supported terrorist organisation proscribed by the UN and other countries. Hitting at the Pakistan government, the Indian government alleged that the terror group was led by international terrorist Masood Azhar, who was being supported by Government of Pakistan to operate and expand his terror infrastructure in territories under the control of Pakistan and to carry out attacks in India and elsewhere with impunity. The Indian government also reiterated its appeal to members of international community to support proposal to list terrorists, including JeM chief, as a designated terrorist under 1267 Sanctions Committee of UN Security Council and ban terror organisations operating from territories controlled by Pakistan. Prime Minister Narendra Modi has also condemned the attack. In a tweet, PM Modi said that the attack on the security forces was despicable. He added that sacrifices of brave security personnel would not go in vain. “The entire nation stands shoulder to shoulder with the families of the brave martyrs,” said PM Modi. Congress president Rahul Gandhi has also condemned the attack and said the cowardly attack had disturbed him deeply. Taking to his Twitter handle, the Congress scion said that he would pray for the speedy recovery of the injured and extended his condolences to the families of martyrs. National Conference president Omar Abdullah condemned the terrorist attack. He said his prayers were with the injured and the families of those deceased. He tweeted that Jaish has claimed responsibility for the attack as a suicide attack and is reminiscent of the terror attacks during 2004-5. Former Jammu and Kashmir Chief Minister and People Democratic Party president Mehbooba Mufti has also condemned the terror attack and termed it gruesome. The PDP chief questioned how many more lives would be snuffed out before this madness ends. In the Uri attack of 2016, 4 terrorists snuck into a brigade headquarters and attacked soldiers leading to the death of 17 people. Following the Uri attack, Indian forces had conducted a surgical strike inside Pakistan territory.